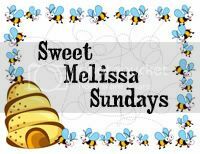 This week's Sweet Melissa Sundays (SMS) recipe was chosen by Stephanie of Ice Cream Before Dinner: Chewy Peanut Butter Cookies. 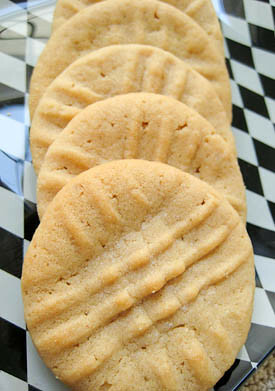 I love anything peanut butter, so I was more than happy to try this peanut butter cookie recipe. These were super easy to throw together. Melissa warns you not to over bake these, or else they become crunchy instead of chewy, so I kept a really close eye on mine while they were in the oven. I baked mine for 12 minutes, slightly longer than what the recipe indicated (10 minutes), and then allowed them to rest on the baking sheet for an additional 5-10 minutes before transferring them to a cooling rack. I found that they were so soft and fragile that moving them any sooner was near impossible without having the cookies fall apart on me en route. Once they were completely cooled, they weren't so frail. I sprinkled the tops of my cookies with some sugar before putting them in the oven. They would look even prettier with some raw/turbinado sugar sprinkled on top. These cookies were super soft, but chewy around the edges. I really enjoyed them and have to admit that I ate the whole batch almost all by myself in just 3 days!! These would be really good to use for ice cream sandwiches. I will definitely be making them again. 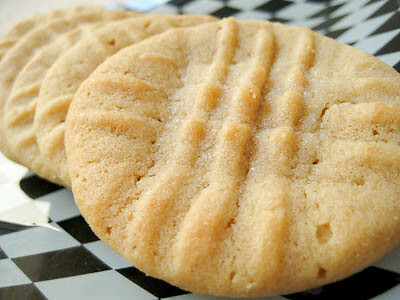 If you prefer crunchy peanut butter cookies, then I would recommend you try these Peanut Butter Crisscrosses. If you've got a little extra time in the kitchen, then you have to try these soft peanut butter cookies that have a candy surprise in the middle! Thanks Stephanie, for a great pick. If you would like the recipe, you can find it here. Make sure you visit the SMS Blogroll to see how everyone else enjoyed these peanut buttery treats! - Dip your fork into some flour to make the criss cross pattern. The first cookie you press will stick a bit to your fork. Dip it in flour again and the flour will more easily stick to fork with the little bit of cookie dough that is stuck to it. You'll have to dip the fork into the flour again after each cookie. - Bake for 10-12 minutes, then remove from the oven and allow to cool on the baking sheet 5-10 minutes before transferring them to a cooling rack. Your cookies look amazing! I agree, they would be delicious as ice cream sandwiches. I'm glad they were a hit for you, I really enjoyed them too. Those look like such perfect peanut butter cookies! I love the sugar that you sprinkled on top, too. The sparkly cookies are so pretty. Your cookies look beautiful! What a pretty golden color. Mine were a little fragile as well. Of course you have to eat the ones that break right away! They look fantastic! These are hard to stop eating, it's not surprising they didn't last long - I had to make sure that some of them left my house ASAP. These were really good! I've had 3 today lol. Your cookies look terrific! I agree - these are so good and very dangerous :) I am sending them to work with my husband tomorrow or I know I'll eat all of them! Awh, they look so thick and yummy! Your PB cookies look yummy!! I can't believe it took you 3 days to get through them, haha.. I rolled mine in sugar but maybe I'll try just sprinkling next time.. Cookies have come out perfect, love the design on top! Yah these cookies are dangerous. While they were cooling on the rack, the batch size diminished GREATLY. I popped one in my mouth... the boyfriend ate another two... we each ate another a few minutes later. Before you know if, theres only half left! :) Glad you liked 'em, thanks for baking with me this week! Thanks for the floured fork tip! This is definitely my kind of cookie! Delicious Cookies. I like chewy cookies. 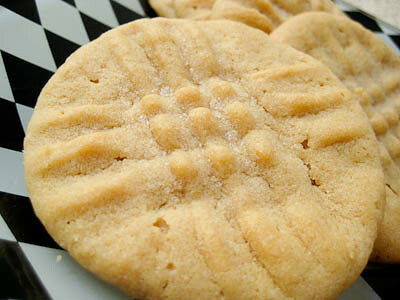 love the criss-cross pattern--it's not a peanut butter cookie without it! 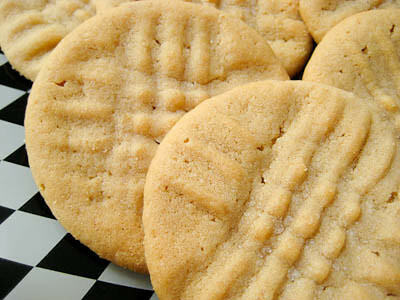 i despise when peanut butter cookies are hard and crunchy, so these appear to be perfect for me! MMMMM I love peanut butter cookies. Especially if they are right out of the oven. I need to make my husband love them more so I can make them more often/. 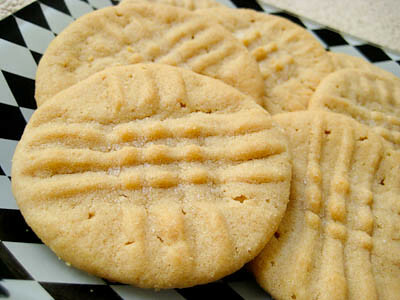 I love soft peanut butter cookies. These look delicious! Your cookies look awesome. Your cross hatches really came out. Your cookies look great! Makes me want to make another batch! Beautiful photos, Jaime- your cookies jump off the page! I love your idea of topping with turbinado sugar... it would add a little extra crunch and texture to the top and also give the cookies a pretty shimmer. Let me know how they come out if you give that alteration a try! I'm glad you loved the cookies; they look great! I definitely need these now. Now would be good. Mmm hmm! Can you PLEASE post the recipe in an easy location to find it?!??! I STILL have not found the it! Do I have to scroll through ALL of these comments to find it.... HOW ANNOYING! dear anonymous - no you do not need to scroll through all the comments to find the recipe. the link to blog where the recipe is posted is in the last paragraph of my blog post. it says "If you would like the recipe, you can find it here." click on the word "here" for the link to the recipe. as a general rule, members of SMS do not post the recipe each week, only the weekly host posts the recipe. so the link is at the bottom of the post. hope that helps!